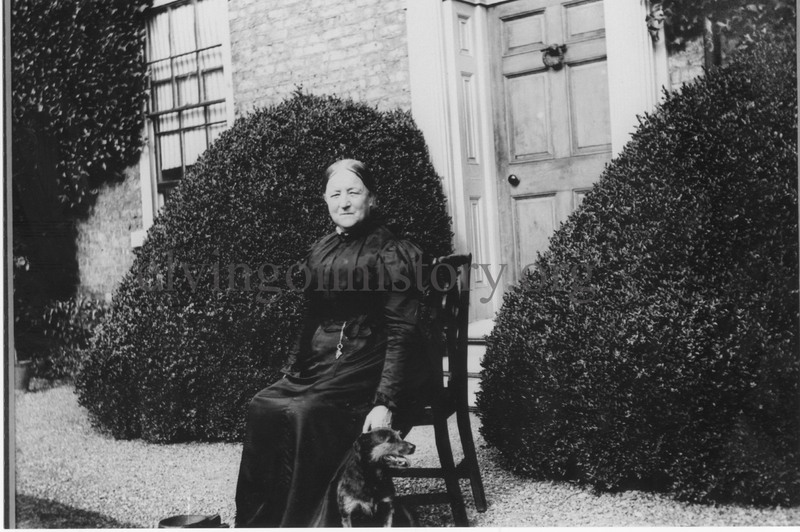 In 1861 Harriet and her daughter were living with her parents at Elvington Hall, her husband was living with his mother, Rachel at Melton Hill..
Maybe they just separated rather than the disgrace at the time of divorce. Harriet remained in Elvington for the rest of life. She sold the Hall to John Dobby, but later on repurchased it for her daughter and son in law, while she moved into Ivy house, now known as Brook House. This Harriet taken outside the front of Ivy house.